Special designed tour for special travellers in the northern moutainous area of Vietnam. This tour is very interesting for photographers who love beautiful moments and coloful images of ethnic tribes in Vietnam. • Stop along local factory of tapioca vermicelli and acacia woodworker on the road . • Cross Ba Be Lake in boat if the 24 seat bus and walk about 20 minutes to get to the local house of Tay ethnic group. At 9:30 Hanoi-Thai Nguyen on the highway passes the gigantic factory of Sam Sung where 100 thousand Vietnamese workers work, stop in a bar at the intersection and then highway towards Cho Moi to Bac kan, about 45 km, and then we go to Bắc kan about 50 km, and then we continue for 50 km to Ba Be from Phu Thong, which was a fortress of the French. we arrive at Pac Ngoi at 5, calmly! ○ Minority ethnic groups: Tay, Dzao (long road meeting), Hmong, and black Lo Lo (rare only in some villages like Na van, Coc San, Khuoi Khuong). Visit the lake of Ba be in the boat for 4-6 hours of hike up the cave of Puong and through the cave to reach the bus. Bao Lac is a small town in the province of Cao Bang, bordering China and where authentic minorities still live. To visit the villages sometimes it takes a 5 km walk via clay path. 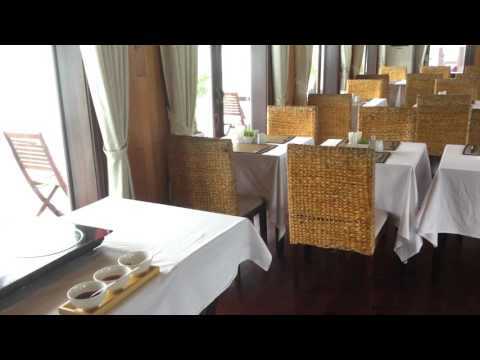 Hotel Duc Tai or Thuy Duong, very modest hotel, private rooms, dinner in a local restaurant and breakfast at the hotel. The road 34 along the river of Gam-road 4c, this route is off the beaten track, not very touristy. There are breathtaking landscapes, the road becomes more rough, hairpin, and narrow. People's poverty is met. The Gam River comes from China and descends to the large lake at Tuyen Quang, after which it meets the Lo River (Pan Long in China). The river is main to the east with two tributaries, the Gam River and the River Chay. Overnight at Dong Van, Meo Vac or Quan Ba depends on the coincidence with the market. § The authentic and cultured markets of minorities among famous markets: on Sunday like Meo Vac, Dong Van, and also markets following the zodiac signs like the one at Lung Phin. Overnight at Hotel Hoa Cuong standard, breakfast and dinner outside in local restaurant. Otherwise overnight in an ancient house of a mandarin from the Hmong ethnic group. Chung Pua Alberge of Meo Vac. "Everywhere you find the limestone mountains, layers on layers, miles of different shapes, without words to describe it. The steepness as if it fell free from sky to the foot of Ma pi leng, the landscape is breathtaking". There live the villages of ethnic Tay under the foot of the mountain Tay Con Linh (2000 m), the beautiful village of ethnicity of the Tay is Phuong Do. During ripe rice season, you can make a beautiful trek between the villages and the rice fields. Pan Hou is a remote place where there is a straw houses set along the source and the forest. Trekking to Thong Nguyen, is a fairly steep path half way through the rice fields and forests to discover the landscapes at Thong Nguyen where the Dzao, Tay ethnic groups live. Near Panhou there is a hot thermal source for a shower. With the off-road you can discover a street off the beaten track Thong Nguyen-Tan Trinh-Yen Binh-Ban Lien-Ta Cu Ty-Bac ha. It is a very narrow road that crosses the area with very low population density. From Tan Trinh to Yen Binh, the ethnic village of Pa Then known for the fire dance, the road 279 is truly ruined up the border of the province of Lao Cai. And then you go down to Yen Binh and Ban Lien, the valley of ethnic Tay and Dzao, along the river Chay. Stop to visit a village of the Tay ethnic group and the cultivation of cinnamon. The morning is dedicated to visiting the colorful market of ethnic groups, including the largest flowering Hmong. The famous market of Bac Ha on Sunday, and also that of Can Cau on Saturday. Topas ecolodge in Thanh Kim is a great place to stay overnight, the place chosen by Facebook founder for his vacation in Vietnam. Classic trekking route from Lao Chai-Ta van-Y Linh Ho, half the terraced rice fields and villages of black Hmong ethnic groups, Dzay. Trekking hard in the Ban Khoang area - Ta Phin takes 4-5 hours 50% ascent and 50 descent, note well that during the rainy period, the trekking becomes very tiring. Visit the village of the Lu ethnic group, a Lao ethnic group. This ethnic group still maintains the custom of brushing their teeth in black. They live in houses on wooden stilts. They grow rice and green tea. In the area of Than Uyen and Tan Uyen the Thais settled. Hard Trekking to Mu Cang Chai from Ba Nha to Nga Ba Kim via uphill road, passing the round, the terraced paddy field. There are villages of Hmong ethnicity along the trekking and many terraced rice fields. Lunch at Nga Ba Kim in local popular restaurant. Afternoon on the move, cross the Khau Pha pass where you can admire the beautiful Lim Mong valley. Dinner and show in the house of ethnic Thai, village of Chao Ha. In the morning, the excursion to the local market and visit of a village belonging to the Thai ethnic group. Transfer to the village of Ky Son Moon Garden, accommodation and participate in the ceremony to the spirits of the house. The bike tour from Ky son to Duong Lam is very interesting to understand the Vietnamese culture, their home, tradition. These villages still maintain traditional characters of Vietnamese culture. We visit the Mia pagoda, an architectural masterpiece of the Mahayana Buddhist religious topic. We continue to the village square where a very important building is erected in the spirit of the village, the Dinh or the village's ancient town hall. We also visit a typical Vietnamese ancient folk home. At Bac Kan, Thai Nguyen where the Tay ethnic group live, there are the Long Toong ceremonies and the Then song. The Long Tong festival, or descend to the rice fields takes place from 4 to 10 January lunar after the Tet holiday. It is the festival of ethnic groups Tay, Nung, and also Kinh to inaugurate the new season of rice. Then Song is popular type with religious color. The cerimony of Cap sac or the initiation of the Dzao ethnic group. The ceremony to get to know one who has obtained a sacred name of the spirital world. The offer to the genius of the Nung ethnic forest. People believe that the forest has a protector genius. Genius can protect people from misfortune such as illnesses, floods, etc. on the 30th of January and on the 2nd of July a lunatic offer must be offered. 150 Km good road, we visit a spectacle of nature that was created millions of years ago. In the delta of the red river, thousands of mountains, islets, limestone pinnacles are raised like dragons. Thousands years, the sea has risen and withdrawn leaving its debris and the red river nourishes tirelessly to form a very fertile plain. About 2 thousands years ago, the bans left the mountain to march towards the sea. After a thousand centuries, States are founded and disappeared, with its heroes and traitors, all remembered and forgotten in the voice of the people or in its temples.We have an excursion on a rowboat to admire the enchanting landscapes of the place.